11 years after our last broadcast together, those words resurfaced last week. I had gone to a small coffee shop in Edmonds for a new business meeting. Being the first to arrive, I went ahead and ordered my usual–a tall non-fat latte. I waited….and waited….and then, finally asked the barista, “Uh, my drink?” Somehow, in the rush between me and the other customer, the order had gotten lost. Apparently, to make up for the error, they served up my drink quickly and extra hot. Now, I had to wait for it to cool down. While I waited, my co-worker showed up, noticing that the coffee shop closed in 20 minutes. That wouldn’t work for our meeting. So, before the client arrived, we regrouped at a restaurant across the street. That meant taking my coffee out to the car. I certainly wasn’t going to go into the restaurant with coffee from somewhere else, so I took a sip and hoped it would still be hot by the time our meeting was over. It wasn’t. Lukewarm, at best. Oh well, I probably should cut back on the caffeine anyway. On the way home, I decided to run a couple of errands and for every store that I visited, I contemplated getting rid of the coffee. But then, it would have just headed to the landfill. If I just waited and took it home, I could put the coffee and paper cup into the food compost container, and the plastic lid in the recycle container. When I arrived home, I lifted up the unwanted beverage and sure enough, the very hot coffee combined with sitting in a paper container for several hours meant that, at the very second it was directly over my lap, the bottom gave out and I was soaked. 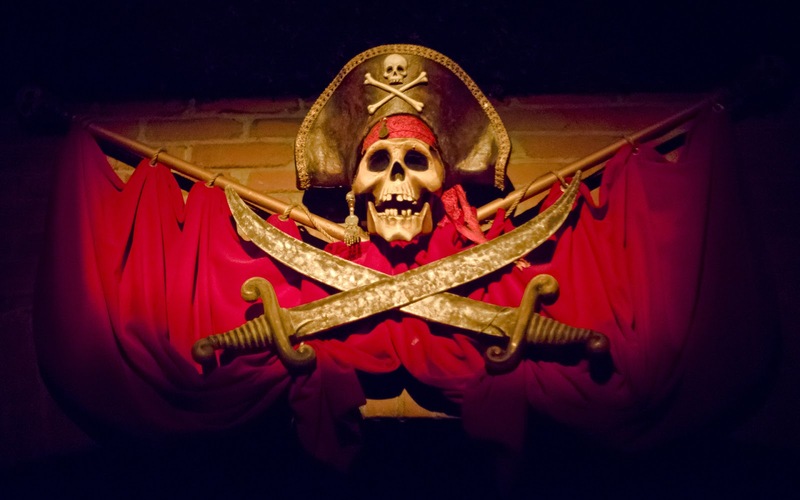 For those who have been on Pirates at the Caribbean at Disneyland, remember the talking skull and crossbones, right before you go down the waterfalls? You know, the one saying, “Dead men tell no tales?” In my head—its the same voice.